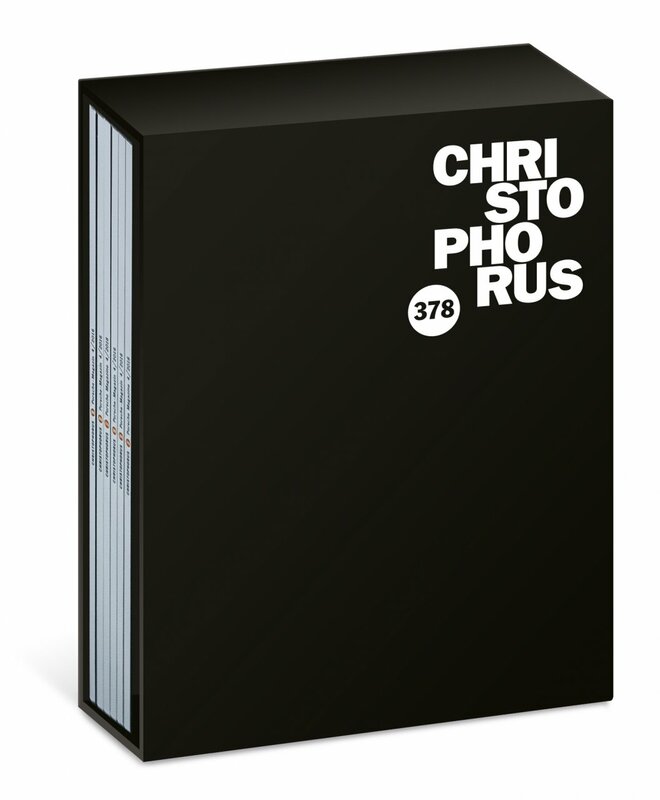 The September edition of the Porsche Christophorus Customer Magazine, issue-378, will appear for the first time in its 65-year history in six different cover versions. Delius Klasing is now launching a six-pack containing all six titles in an elegant slip cover to be sold in book shops. In other words: six identical issues with six different covers. New York-based star photographer Martin Schoeller, one of the most famous and influential portrait photographers in the world, produced portraits of all six LMP1 drivers in the FIA World Endurance Championship (WEC) during the six-hour race on the Nürburgring in July 2016: the drivers were Mark Webber, Neel Jani, Brendon Hartley, Marc Lieb, Timo Bernhard and Romain Dumas. This photo project involved photographing the drivers in a mobile photo studio immediately after they had climbed out of the cockpit of the Porsche 919 hybrid-racing car. Schoeller explained: “I wanted to feel, understand and experience what goes on there – how exhausted the drivers feel after racing, how disappointed they are when they loose and how euphoric they are when they win.” Consistently working with analog technology and producing his pictures on film, Scholler has succeeded in capturing the strain on the drivers’ faces from long-distance races. All six LMP1 driver portraits are now to be presented in Christophorus issue no. 378.